Bruno Allion and his family live in a quiet lane in the village of Thésée with view on the church in the distance. 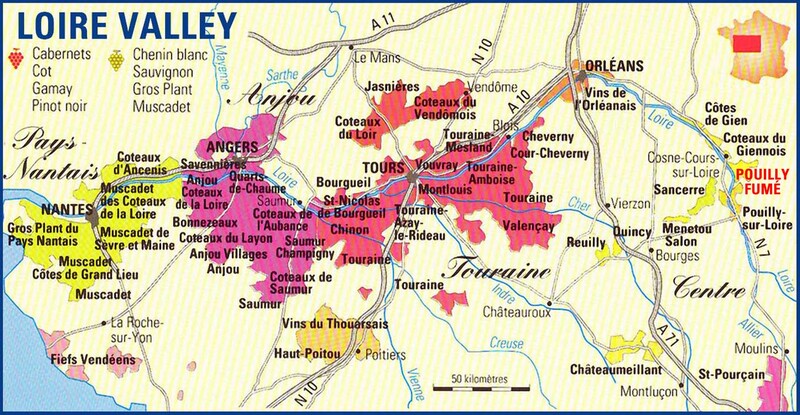 The area on both sides of the river (which flows into the Loire a few kilometers west of Tours) is now home to quite a number of artisan winegrowers who make wine without additives and from organic grapes. Bruno Allion is also part of a group of biodynamic growers who gather regularly to exchange and prepare herb tea for spraying. I tasted his wines now and then in the last few years and met him last near here in Montrichard, at the natural sparkling fair. I visited him on a warm august day and we had first some refreshing mint syrup in the lovely garden. It is noteworthy that Thésée is a very old settlement dating from the Roman times, there was a roman road going through the area and linking Bourges to Tours (named differently back then), and you have still-standing impressive ruins (monuments des Mazelles) near the village that date from the 2nd century. Bruno Allion set up his own domaine in 1981, starting with a 2.5-hectare vineyard surface. He is from a family of growers along the Cher river east of Tours (named differently back then), his father was selling to the local coop since the start of his working life as a grower in the 1960s'. the coop (the Confrérie des Vignerons de Oisly et Thesée) at the time was working hard to achieve quality. Bruno's father had uprooted the hybrids farmed in time by his own father, replanting Sauvignon, Gamay etc instead. Bruno's oldest parcel is a plot of 80-year-old gamay which remains from his grandfather's surface. His total surface today is about 13 hectares. Bruno's official installation was 1987, he did like his father, selling his grapes to the coop but he began to make wine on the side, competing thus on a small scale with the coop, and at the time it led him into trouble because he had a favorable article about his wine in Decanter following a sale he made to a UK exporter. The managers at the coop instead of being happy that the region and one of their growers was spotted abroad saw this as a blow on their own work, an unfair competition and he was pressured to keep a lower profile, especially, they said, that he wasn't supposed by contract to make more than a certain percentage of wine in his own chai. He was not farming organic at the time, he remembers that his father started using herbicides in 1976-1977 when he himself did his time in the military, and he stopped using them 1996, which makes an overall relatively short time. He was officially certified in 1997 (the conversion had begun in 1995). He has been vinifying his wines for a few years without added sulfites. We visited several cellars a few hundred meters from the house, driving in his every-day-use vintage Citroën 2CV (pictured on right). These cellars are all authentic vigneron micro cellars/chais where locals were making their own wine a century or two centuries ago for local consumption, some are still like untouched by time, except for the wooden vertical press that either lost its wood staves or was moved away right away. When Bruno set up his own domaine while keeping selling grapes to the coop he named it Domaine de Pontcher and this is still the official name even though we amateurs often refer to his wines as "Bruno Allion". Bruno stopped working with the coop in 2007, after a 25-year partnership. Initially when he was still selling to the coop, he had begun making wine from parcels that were considered unfit by the coop, for example some gamay teinturier (dark type of gamay used in the past to bring color) dating from his grandfather time, the reason given by the coop being that this type of Gamay was forbidden in an AOC wine. This is one of these cellars, which Bruno doesn't use right now but which he plan to clean up from its mess in order to make it a tasting area. This room is indeed a gem of a historical winery facility : It's built right inside the small hill, the chalky sandstone having initially I guess been extracted from there for construction purpose. Through the window and the door on the right the grapes would come in, the vineyards being planted just above this hill and feeding directly on the limestone rock table. Inside the chai you can still see the screw of the vertical press. You can't see it because of the stuff in the foreground but the cement base of the press is connected through a hole to the débourbage vat on the left, which as you see is carved into the hill (kind of in-built period temperature-inertia system...). Before the cement era the press base was probably a large, flat rock. There has been certainly also different types of presses along time, and from what I know there was a time winegrowers wouldn't have their own press and either they'd just fot stomp their grapes or they'd use a local service with presses on carts. On the picture on left you can see the press in the foreground and the small opening of a large fermenter in the background. This particular fermenter is nestled deep inside the rock, allowing indeed a very good temperature stability, it's all cement coated too. Bruno says that the toboggan-shaped cement adjunction going down outside the tank opening was added later for an easier devatting. There's another fermenter on the bottom right and as it is partly collapsed you can see the detail of the thin cement coating on the rock wall. Bruno Allion says that this is very good cement work, they first prepared the rock so that it would hold the cement, then put a first layer of lime, then the thin-grain cement that would come in contact with the juice/wine. Looking at these fermenters (which may have been added over time) you can figure out the production of a farmer. Going back outside I spotted this old tractor in the courtyard, and Bruno explained to me that he loved working wit this machine. It's reliable and easy to fix, there's not even an ignition key, by the way. This is a Renault D22, it was made in the late 1950s' and its engine is german made, it's a MWM (Motor Werke Manheim). You can find to fix this type of tractor (the R 7050 is a sister model of the D22).. When Bruno Allion started again to make wine all the while selling the bulk of his grapes to the coop, he soon reached the 10 % he was allowed to vinify, then 15 % this Pdf document online than when the 5-year contract with the coop reached its term he decided to discontinue the partnership. It had become very dissatisfying, he used to get foul-mouthed remarks about his grapes which were beautiful and organic/biodynamic but they were said to be not nice, or oxidized by the guys at the coop, so this was the straw that broke the camel and following Puzelat advice he jumped into the cold water of vinifying and bottling all his wine. He had been selling at the coop like Michel Augé in that time, a grower that has become later a pioneer in biodynamy and natural wine in the Cher valley. 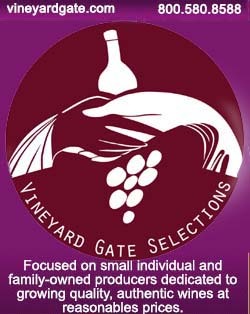 They were the two growers whos's grapes were vinified separately as organic, which was rare for a coop. They even made sulfites-free wines at the coop then with Michel Augé in the early 2000s', the first try being successful but the following year less positive in this regard. At the time before trying these SO2-free cuvées they had toured around France with the technical director and Agnès Bardet who was then second in command, visiting the other coop vinifying without SO2 (Estezargues) and Marcel Lapierre plus a few others in the Beaujolais, Marcel Lapierre being the pioneer on the issue, and once back they did their first SO2-free cuvées in the coop. Whatever, this didn't last after issues with the coop and Michel Augé quit it, 2 or 3 years before Bruno, paving the way for Bruno's own enfranchisement. Since both of them left the coop there hasn't been any natural wine made at the coop, but they still have two growers bringing organic grapes. Since he didn't renew his contract with the coop (in decmber 2007 if I'm right), he increased progressively the share he vinifies and bottles himself, but to this day he still sells grapes, now to other organic winegrowers. Today he makes only about 10 000 bottles and he has room for increasing his production. .
We pushed another door in this courtyard, this time it opens on a vat room, and it's not really a cellar in the rock. Asked when he ended up stopping using SO2 in this vinification and bottlings, Bruno Allion says he began straight away from 2005 after watching people like Puzelat doing it. Thierry Puzelat told him how easy it was, he hadn't to worry, just fill the barrels and let it go by itself, adding that it made no sense to even add 10 mg of sulfur, either you put 40 mg or nothing, pushing him to add nothing of course. And in 2004 the last cuvée he added so2 was on a late harvest of Sauvignon (which he named Sonomo) where he added 20 mg, a ridiculous amount for a late harvest, he doesn't sell the wine yet because he thinks the so2, even at such a low dose) kind of disturbed the wine. He also had made trials with a batch of the same wine getting so2 and another not getting any, and he oddly didn't feel any difference so he decided to stop using any. Maybe if he had reproduced this double experiment he'd have seen a difference this time but whatever, from that time he vinified without so2. He also doesn't filter, no fining, no racking, ther whites like the reds. Because of that his élevages are a bit longer, like 1.5 year or 2 years, especially that the clay/limestone soil with its austere edge asks for longer élevage. Bruno Allion only makes table wine (Vin de France), he recounts how it happened : he had the AOC until 2005 then in 2006, two things went wrong : first there was one of his wines that he himself considered couldn't pretend to the AOC because it was an experimental cuvée of gamay which he had vinified without pressing, and this wine got accepted nonetheless, which oddly upset him because it didn't make sense for an appellation standards, the wine although fruity was very light and he wasn't happy himself with the result. And to make things worse that same year the agreement-commission guys had found faults on his cuvée of Côt, and for him there was no fault, they said there was acescence in this Côt and they stated that some corrections had to be brought to the wine. Upset by these two unsettling moves he decided to stop with the AOC Touraine and bottle from that time his cuvées as table wine. On the picture above you can see another cellar opening on this courtyard, he uses this one for cellaring, but it also has everything in-built in the rock walls to do the winemaking. These are architectural remains that help us understand how important winemaking was for every farmer, as you can find such disuded tanks and half-interred débourbage vats behind every house along the hill, and on both sides of the river. The fermenter is here again embeded into the mass of the rock, and you can guess on the picture on right a similar opening on the other side of the tank with also a toboggan-shaped slope to hurry the grapes outside after the maceration. On the left you can see the sink on the window (shutters closed), they probably added improving features along the years in a simple, efficient manner needing little or no maintenance. Bruno Allion farms along biodynamics, so he showed me several bunches of dry herbs and weeds fit for biodynamic preparations and sprayings. He is one of the growers taking part to the biodynamy days and exchanges held regularly at the domaine des Maisons Brûlées, this interactive group was initiated by Michel Augé and from what I know Michel keeps doing it even though he is retiring and has been leaving the reins to Paul Gillet. On the picture Bruno holds a bunch of drying horsetail (Prêle) which is known to be very useful for the vines, he adds that he has to go pick more in the fields for his herb tea decoctions. There is also some willow (saule), the decoctions of which from what I read later are good against mildew. He has also dry nettles here (orties), they grow plentiful outside the cellar, he just has to bend. Bruno Allion has his own dynamizer (picture on right) even though he also does some at the Maisons Brûlées, a dynamizer being the special tank used to turn and energize the water in the biodynamic preparations (picture on right). Here and there in these cellars he has also old underground vats which he doesn't use, they were made from what I understand 30 years ago. This is interesting, back in the depth of this cellar which has several rooms connected with door-size openings, there's these bottle cabinets, I don't know how to call them, which were maybe a couple centuries ago carved into the limestone. Glass bottles were a rare commodity then and farmers would bottle only a bit of wine, probably the best cask and they would put it there to age. No need to say the bottles were saved and reused. Today the two alcove-shaped cabinets are used to hold (and sort of mature) the cow-horn preparations that are pivotal to the biodynamic farming. It's actually cow manure that has matured all winter and spring in cow horns, burried in the vineyard, then they took the ghorns out and put them in these containers for further maturation. In these alcoves they look like urns holding someon's ashes, it's very mysterious. They will use this preparation, diluting some of it and spraying the water on the ground in the vineyard. The material in here is used by several growers around, as Bruno doesn't need as much, only 3 or 4 kg per year, it's one of the things that they do in common with other biodynamic growers.. The barrels look very old but they're usually 7 or 8 years old, it's just that the mold makes then look very old, and it takes over an incoming cask in the matter of just a few months. The cellar galleries are regularly ventilated but the molds feels well here, I guess the wild yeast just the same. The gallery pictured on the right was the one for the reds, but not sure. These wines are from 2014 will be bottled next december or february, having made a good time in cellar. I ask if he topps up these days he says no, right now they'd rather be expanding and a bit overflowing because of the temperature, and the humidity helps in this regard to contain evaporation. He says he hopes these cellars will be full after the harvest. We also had a look on a similar gallery which he uses to stock bottles, it's a drier cellar (and thus less photogenic) which long time ago he used to rent to Junko Arai (where Pascal Potaire worked at the time), a Japanese woman wo managed a domaine on the other side of the cher (Noella Morantin worked there too). Junko needed room [I guess she hadn't purchased the farm she used later as a facility] and she put her vats and barrels in there. We then walk in the workshop with all the tools for, I guess, fixing the machines and other tools, it looks like a barn in the front part, with a vintage straddle stactor still in working condition, it's a Loiseau if I remember and it dates from 1969. It's equipped right now with blades for the inter-row plowing. In the large high-ceiling room before you reach the parked straddle tractor, Bruno can also store pallets of wine waiting shipping and that's where he puts the labels on this bottles. In the far corner there's also a dismanted Citroën 2CV, for the parts I guess, and on the other side another, smaller vintage tractor with spraying equipment. Like most of the artisan winegrower I visit, Bruno is a skilled mechanic even if he will certainly pretend the opposite. In the bottom of the room, on the left if I remember, there's a door leading to another cellar under the hill. I really stopped counting the cellars at this stage. Here again there's an old vertical press inside, and in other rooms more fermenters carved into the rock and so on. The room with the vertical press is where they gather with friends or fellow vintners for vinous reunions, and a couple of empty bottles testify of a party some time ago. There's an oven in the rock on the side of the room where he makes large pizzas. I'm sure they can party until the morning in there without disturbing anyone in the vicinity. The most impressive antque fermenter in all these cellars was possibly the one I saw here. Walking in the bottom of the gallery all you could see was some strange opening on the left, close to the ceiling (picture on left), it was so high (maybe 2,5 meters) that I couldn't guess what was on the other side, I first held my camera as high as I could, shooting randomly, then Bruno brought a plastic chair and I managed to shoot more pictures. This large fermenter carved in the heart of the hill must be very old, that was the way for poor farmers, long time ago, to build a no-maintenance vessel that was cooled by the inertia of the hill, plus the extracted stone could be used to build. But given the narrow opening up there from where they did the digging, that must have been particularly difficult. Later when cement was invented they had the walls and the bottom plastered and this was probably a very good fermenter. Bruno shows me at the base of the vat outside, where they had dug a low-lying decanting vat to have the lees settled. Years (centuries ?) of winemaking have left a red mark on the sides of the fermenter. Bruno Allion has a few farm animals around this group of cellars, which is normal when you run a real winery/farm in the Rodolf-Steiner understanding of it. He used to have a pig but the poor thing was turned into delicacies, and as he does the raising of the pig with other amateurs he hasn't yet arranged to raise another one. Next year maybe. For the last one he raised his pig in parallel with te one of Laurent Saillard (scroll down to see Laurent's pig) and they could compare their respective breedings. He has a surviving roaster which was guarding the cellars doors when we arrived, his dozen of hens having been killed some time ago by a fox, and not renewd yet. He still has these geese, which seem threatening (they can be if they feel, like) but actually kept their beaks wide open because the day was very hot. Bruno also has a female sheep, a large, cute animal with a thick whool coat. It looks very shy which is normal for sheep. He also keeps bee hives here and there. I like the laidback atmosphere coming out this place, here is a real place with a history and a soul. Watch here the geese and sheep which managed to get out of their fenced lot. After this extensive cellar visit we drove in Bruno's 2CV to see a couple of parcel above te hill. This 30+are pârcel is 40 or 50 years old, he took away all the trellis and posts 3 years and it looks like it never had any. He says it's beautiful this way, growing free on all sides, and it looks like having quite a good load of fruit. There are missing vines here and there, often because the tractor inadvertedly damaged the trunks and uprooted the vine or broke it at the ground level. THey're considering replanting the missing vines and if they do, they might plant posts at the beginning like they do in the Beaujolais just to help the vine get up in the first years. He says that you feel good in this parcel every time you have to work in it, because you can go from row to row without being bothered by the wires, except with the long shoots of the vines. Asked if he lets the vine grow unimpeded, he says he thought to trim it but at a closer look at the end of the shoots he saw that the vine had reached its optimum growth and stopped by itself, so he thinks he will not do anything. The grapes here will make his cuvée AK 400, the one with the funny Citroën 2CV label. The clusters are finishing their veraison, turning dark. The soil is clay/limestone with also silex (flintstone), the limestone having plenty of tiny fossils looking like sea or coral worms. He says that this untrellised parcel is in line with what he does in his domaine, the old-style cellars, the simple vineyard tools and so on. Looking closer at the grapes he says they're not very big but that a good omen for quality, and they still have a month to go before the picking [this visit was the 12th of august]. He adds that this parcel hasn't got any spraying since early july, the year is particularly healthy on the disease-pressure front. Last year he sprayed 9 or 10 times, this is really a good change compared to 2014 where early summer was very wet. They call this parcel "les quatre pierres" (the four stones) but the real name is "Touche Ronde" and it's on the village of Monthou-sur-Cher. We drove to another parcel, more traditional in term of trellising (didn't find any info on what variety it was, Bruno will probably recognize it and tell me). On the way to there I noticed here and there fallow fields around his plots (like the one seen from inside the car on left), they're his own and these are fields that could be replanted one day, but he likes the fact that these high, unspoiled weeds are home to many insects and life, and he takes care to mow them late in the season in order to keep it full of this insect and animal life, like a living reservoir. Speaking of plantation rights (the plantings are highly regulated in France) he says that the restrictions are about to be lifted soon, which will make life easier fror growers wishing to expand their surface. Right now Bruno Allion has roughly the same surface in white and red, the Côt being the biggest of the reds, the other being Gamay, Cabernet, plus Pineau d'Aunis (in 2014 he did a cabernet-pineau d'aunis blend which he wanted me to taste but back in the farm we forgot about it - it should be released a year from now). For the whites we passed along the road parcels of Sauvignon and Romorantin, in between orchards and even a vegetable garden which he grows there. Back at Bruno's house we tasted a couple of wines, the end of the afternoon was still comfortably hot. __ Sauvignon 2013, this was the end of a 2nd bottling, he says, which took place early july 2014. It's so aromatic in the mouth, what a pleasure, it's really so different from the usual Sauvignon expression. Bruno says that people often mistake it for Chenin. Vinified in barrels. Unfiltered and SO2 free like all of his wines. Don't think I'm biased but really I'm sure it has to do with the fact that you swallow this so easily. He says that these almost-2-years of élevage are not too much, you need that for this wine. He says he found a way to vinify which is simple, he just lets things unfold by themselves, adding he's not of the kind to worry all the time, and it works every year even if the wine may be different. Speaking of this 2013 he still says he doesn't consider to be that a great sauvignon, he says the 2014 should be much above this one. In 2013 he made 40 hectoliters of it, almost 4000 bottles. He says he could produce twice that volume, he'd sell all of it. This sauvignon costs 8 € retail at the domaine, a good deal for this enjoyable and totally-uncorrected wine. __ Gamay 2014, bottled very recently (4 days before). This first bottling batch will be shipped to the U.K. and Belgium. Aromas of acidic cherries and small red fruits. Nice juicy chew with a very nice acidity frame, very nice wine, love it. But he says that the wine is at the very beginning of its life and it will offer more later. Costs 8 € retail at the domaine also. Very tonic and fruity. He has only 6 casks of this wine, or 2000 bottles, and he could triple the volume, it'd sell very well. He will short of wine this year but next year he should have more, he warned his grape buyers in advance, saying that he'd sell them less grapes in order to vinify himself more of what he grows. Asked about his number of cuvées right now, Bruno says he has 3 whites, the Surin, a late harvest sauvignon (Sonnemot, a 14%, zero sulfites sweet wine with 60 gr residual sugar, he's selling the 2011 right now), another late harvest, an oxidized wine having gone through 3 years in barrels without topping up (but the veil didn't build up) with 30 gr residual sugar and zero so2, this is Sonnemot 08, it is bought by the UK mostly. He also has a rosé made with côt (I didn't understand the cuvée name) and through a long élevage, he's selling the 2011 right now. He says it's a superb wine, most going to the U.S. He makes a rosé sparkling named Bonne Fête Papa (I tasted it at the pet'nat fair recently), the name not being printed on the label by the way. In red he has Bruno N' Côt (a côt of course) which I tasted at the fair too, he has a Gamay (AK 400) with the Citroën 2CV on the label, and a Cabernet Franc named Carnix. Bruno Allion's first customers were several cavistes in Paris, like Chapeau Melon and Le Verre Volé, then a Japanese importer (W. inc, to which he still sells), plus two other business including a caviste in Nagoya. After then things grew up and he sells to a few countries, Italy (Meteri, Mestre), Germany, Switzerland, Belgium (A Taste Affair in Gand), Spain (Cuvée 3000) the United Kigdom (Isabelle Legeron), the United States (Fifi Imports) and recently Sweden/Denmark (Rosforth & Rosfort).